Bhaijaan Elo Re Separated at birth, after 28 years Bhai and Jaan grow up to be as different from each other as can be. While Bhai is outspoken and a little bit of a troublemaker a daring costume designer, Jaan is quite shy and timid. After years of being apart, fate brings the two brothers together and things take an interesting turn. 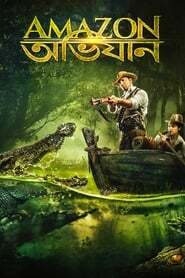 Amazon Obhijaan Amazon Obhijaan will see daredevil adventurer Shankar Choudhury traverse the length and breadth of South America, including the legendary Amazon in search of the mythical city of gold.